Minimally and non-invasive plastic surgery procedures are becoming increasingly popular as patients look for more subtle effects and minor, discrete visual interventions that enhance their appearance. There are many additional reasons to choose a less invasive procedure, including quick or immediate recovery, lower cost and the ability to tweak the aging process without undergoing a full-blown procedure. At Somerset Center for Plastic Surgery we offer a full range of minimally invasive options that will have you looking and feeling your best with very little downtime. Give us a call for individual solutions that address your needs! The cosmetic form of botulinum toxin, often referred to by its product name Botox®, is a popular non-surgical injection that temporarily reduces or eliminates frown lines, forehead creases, crows feet near the eyes and thick bands in the neck. The toxin blocks the nerve impulses, temporarily paralyzing the muscles that cause wrinkles. Studies have also suggested that Botox® is effective in relieving migraine headaches, excessive sweating and muscle spasms in the neck and eyes. Botox® injections take only a few minutes and no anesthesia is required. Botox® is injected with a fine needle into specific muscles with only minor discomfort. It is best to avoid aspirin and anti-inflammatory medications one to two weeks before treatment in order to reduce the chance of bruising. It generally takes three to seven days for Botox® injections to take full effect, and will last three to four months. As muscle action gradually returns, the lines and wrinkles begin to re-appear and wrinkles need to be re-treated. The lines and wrinkles often appear less severe with time as muscles are trained to relax. This simple procedure can be accomplished in our office here at Somerset Center for Plastic Surgery. Temporary bruising is a common side effect. Headaches can occur, but this is rare and they usually resolve within 24-48 hours. A small percentage of patients may develop eyelid drooping, which usually resolves within three weeks. Eyelid drooping is usually caused by migration of Botox®. For this reason, you shouldn’t rub the treated area for 12 hours or lay down for three to four hours after the injections. The effects of gravity, sun exposure and years of facial muscle movement (smiling, chewing, squinting, etc.) begin to show their effects as we age, leaving laugh lines, smile lines, crow’s feet and facial creases. Injectable fillers can fill in these lines and wrinkles, and plump up creased and sunken areas of the face to restore a smoother, more youthful looking appearance. Recently, non-collagen fillers that offer longer-lasting results have entered the field of cosmetic surgery. Dr. Stein uses Juvederm, Radiesse, Restylane, Sculptra, Voluma and Volbella in his practice. The choice of filler Dr. Stein uses is dependent upon which area of the face your procedure targets and your desired results. Fillers may be used alone or in conjunction with a resurfacing procedure, such as microdermabrasion, or a re-contouring procedure, such as a facelift. In your initial consultation, Dr. Stein will evaluate your face—the skin, the muscles and the underlying bone—and discuss your goals for the procedure. Fillers are usually administered in the office. If, however, you’re combining the filler procedure with another procedure (for example a mini-S, facelift or brow lift) your injections may be administered in the hospital in conjunction with the other procedure. Immediately following treatment, you may notice some minor discomfort, stinging or throbbing in the injected area. Any redness that appears in the injected site usually disappears within 24 hours. However, in some individuals, particularly fair-skinned patients, this redness may persist for a week or more. Tiny scabs may also form over the needle-stick areas, but these generally heal quickly. No bandaging is needed and you are free to eat, drink, and wear makeup with sunblock protection shortly thereafter. Injectable fillers are temporary, and you may want to repeat the procedure in nine months to one year. Non-collagen, injectable fillers are a new, exciting way of restoring a youthful appearance and are constantly being improved for longer-lasting, safe results. Early signs of aging begin to appear in our mid-30s when cheeks begin to lose volume and under-eye circles deepen, but you can prevent aging skin from detracting from your appearance! Juvederm and Juvederm Voluma help maintain your natural, youthful appearance. Restore fullness to your face and gently fill fine and deep lines for a natural appearance. Reduce the appearance of scars, especially hollowed marks. Produce immediate results, meaning your face looks as youthful as you feel by the time you leave the office, and no downtime is required. A Juvederm treatment is completed in just one visit and results can last from three months up to a full year when certain fillers are combined, and the results are immediate! Juvederm is a smooth gel made from hyaluronic acid, which occurs naturally in your skin and is approved by the U.S. Food and Drug Administration. Call us with any questions! 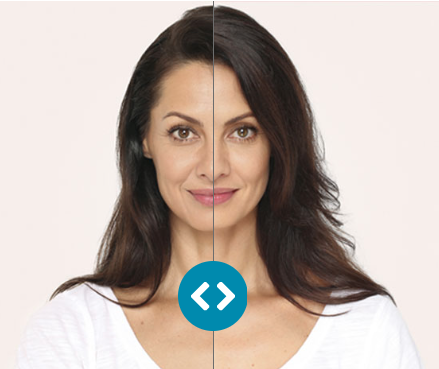 Radiesse is an injectable cosmetic treatment used to fill deep facial wrinkles or folds. It works by improving the structure of the skin from the inside, where it stimulates your body’s natural production of collagen. Collagen—a key structural element of the skin—provides volume, strength and flexibility. Collagen is lost as part of the natural aging process, which causes the skin to sag into lines and wrinkles. Radiesse can be used to smooth these facial lines, from deep wrinkles around the mouth and nose to frown or worry lines on the forehead. It can also be used to reduce the appearance of indented scars and skin depressions, and can be used to define the jawline and volumize jowls. Radiesse contains tiny spheres of calcium hydroxylapatite, which is naturally found in the bones and teeth. Once injected, collagen forms around the spheres and increases volume at the targeted area. Radiesse improves your skin’s strength and structure, and makes it smoother and more supple. If you’re bothered by a double chin, you may want to consider Kybella™. Kybella™ is a non-surgical injectable that reduces moderate to severe fat on the upper neck area. The injection contains the naturally occurring molecule deoxycholic acid, which aids in the breakdown and absorption of dietary fat. 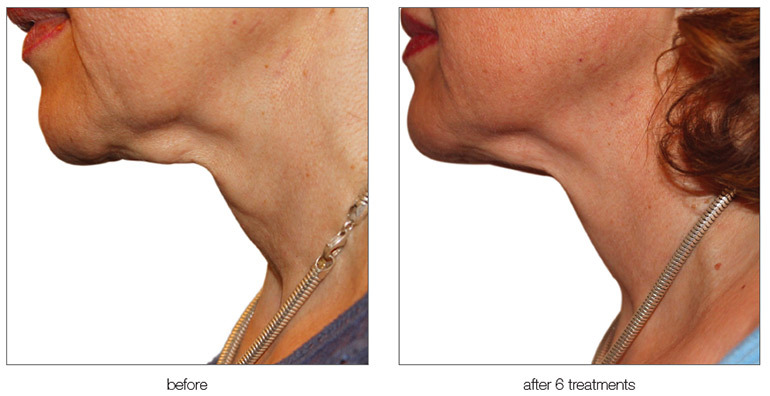 When injected into the fat beneath your chin, Kybella eliminates the fat cells, removing the “storage space” for fat! Based on your desired chin profile, Dr. Stein will customize your treatment with you, including addressing how many sessions are required to attain your goal. Your sessions will be spaced a month apart. During each session, the doctor will give you a series of injections and up to six treatments may be administered. Visible contouring of you chin profile may be noticeable in two to four treatments. Kybella™ is a permanent solution to a double chin, and retreatment is not expected to be required. Kybella™ has been the focus of a global clinical development program involving over 20 clinical studies with more than 2,600 patients worldwide, of which over 1,600 have been treated with Kybella™. The FDA approved Kybella™ April 15, 2015.It’s the latest advancement in submental fullness that has shown great results! Many different problems can cause eyelashes to fall off or to grow in thin and sparse; some of us just don’t have great lashes. Finally, there is an FDA approved treatment available that has been clinically proven to work! 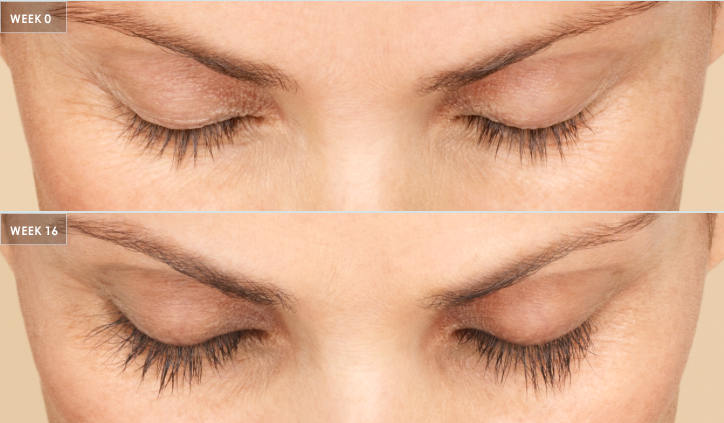 With LATISSE®, we can all have beautiful eyelashes! Great eyelashes don’t just happen overnight. That’s why it’s important to note that LATISSE® works gradually, with full results after 12 to 16 weeks. Once you begin treatment, you must follow the directions and continue applying the topical solution each night for best results. LATISSE® is available by prescription and Dr. Stein and his staff offer individual consulting and management of your LATISSE® regimen. As with any prescription treatment, you must consult with your doctor for information and proper usage of the LATISSE® solution. Microdermabrasion is a technique that helps repair facial skin that has taken damage from the sun and is displaying signs of aging. This quick, non-invasive procedure is sometimes called a “lunchtime peel” because of how simple it is and usually only lasts about 15 to 30 minutes. Dr. Stein uses a method called DIAMONDTOME that mixes a gentle abrasion with suction to remove the dead, outer layer of skin. Microdermabrasion exfoliates and resurfaces the skin, promoting the formation of new smoother, clearer skin. It is usually performed on the face and neck, but it can also be performed on any part of the body (such as the backs of the hands). 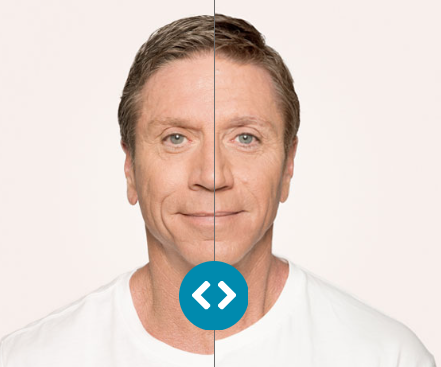 As with other skin rejuvenation techniques, more than one treatment may be needed to reduce or remove fine wrinkles and unwanted pigmentation. For best results, we advise a follow up with Clear +Brilliant®, a gentle laser procedure. Skin will turn pink immediately afterward, but this color will fade within a few hours. Makeup can be applied immediately and you can return to normal activities. This treatment offers subtle improvements in texture and the appearance of refreshed skin. The procedure may be repeated to achieve more dramatic results, and create smoother, younger-looking skin. A Thermage procedure is a non-invasive alternative to alleviate wrinkles and sagging skin that occur naturally over time. Results are immediate and can last for years. Thermage is also an excellent companion to any liposuction procedure – especially for older patients, where sagging skin may be more pronounced. Normally, the complete procedure can be performed in just one session. A session lasts anywhere from 20 minutes to two hours, depending on the treatment area. General anesthesia is not required, but Dr. Stein may offer light pain medications prior to treatment. During the treatment, you’ll feel a brief, heating sensation each time Thermage delivers radio-frequency energy to the under layer of your skin. This indicates that your collagen is being stimulated and tightened. After treatment, your skin may be slightly red for a day or two. Most people resume regular activities immediately after treatment, with no downtime or special follow-up care. Side effects are generally mild and may include redness, swelling, blisters, and bumps, which usually disappear within a few days. You should feel and see your skin becoming smoother, firmer, and tighter immediately after your procedure. You may also notice some contouring effects that will begin enhancing the shape of your face. After the procedure, you should continue to see improvements to your skin as a result of the production of new and increased collagen, as well as some additional contouring effects due to continued tightening over time. These effects will continue for up to six months and you should see lasting results. The natural passage of time and long-term exposure to ultraviolet radiation from sunlight causes skin to become lax, lose elasticity and sag, which is one of the most visible signs of aging. A decrease in the number of the cells that produce collagen fibers, known as fibroblasts, and reduced dermal circulation, caused by fewer capillary loops, all play a role in the loss of elasticity by causing a diminished nutrient supply to the skin. Venus Freeze Lift Fx™ and Sculpt Fx™ is an effective, non-invasive treatment that promotes the production of collagen and elastic fibers and improves blood flow, leading to healthier, more flexible and attractive skin. Improvement can be seen after the first treatment. Venus Freeze Sculpt Fx™ and Lift Fx™ is a non-invasive, innovative treatment with proven clinical results. The treatment uses a combination of bi-polar radio frequency (RF) along with magnetic pulses that work in synergy to reverse the effects of skin aging. The magnetic pulse component of (MP)2 induces the release of growth factors required for the sprouting new blood vessels, as well as proliferation of dermal fibroblast. Simultaneously, the RF component induces collagen and elastin synthesis by causing controlled thermal damage in the dermis, which triggers the self-repair mechanism of skin tissue. The result is a marked improvement in skin tightness, elasticity and overall skin condition. The procedure is pain-free and does not require any cooling agents or numbing cream. It’s also faster than other comparable treatments. Treatments can be done during lunchtime and can be faster than waiting in the grocery store check out line after work! Somerset Center for Plastic Surgery carries many SkinMedica products. 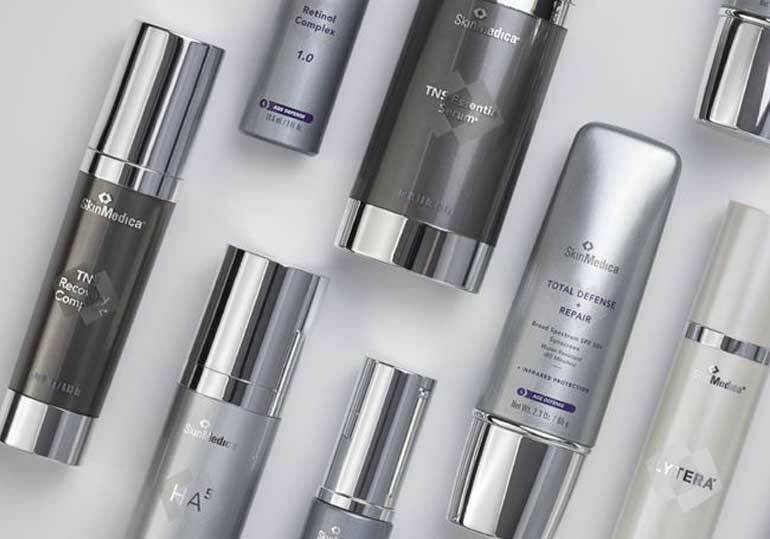 SkinMedica products are formulated with clinically tested ingredients to deliver advanced skincare. We recommend this line for its consistent performance when it comes to delivering optimal results. SkinMedica uses the skin’s natural healing properties to enhance the look and feel of the skin, so that you’re left with rejuvenated, moisturized skin. SkinMedica uses clinically tested ingredients in products for all skin types. 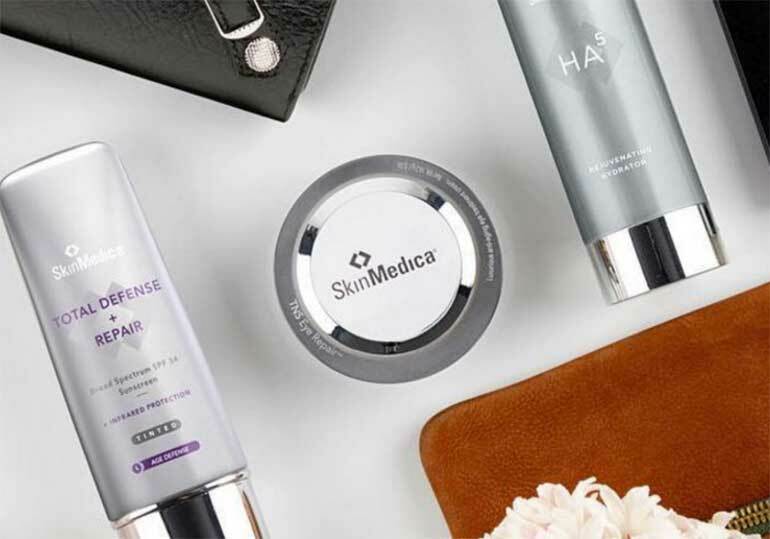 The SkinMedica products we carry address a variety of concerns including sun damage, age spots, acne, dry skin and oily skin. Call Somerset Center for Plastic Surgery to learn more about SkinMedica benefits.